Social media demographics are extremely attractive to companies, offering a tremendous opportunity to reach more consumers than ever before. It is now an effective and exciting medium to build stronger relationships and affinity with their brands, to ultimately grow and accelerate market share and profitability. 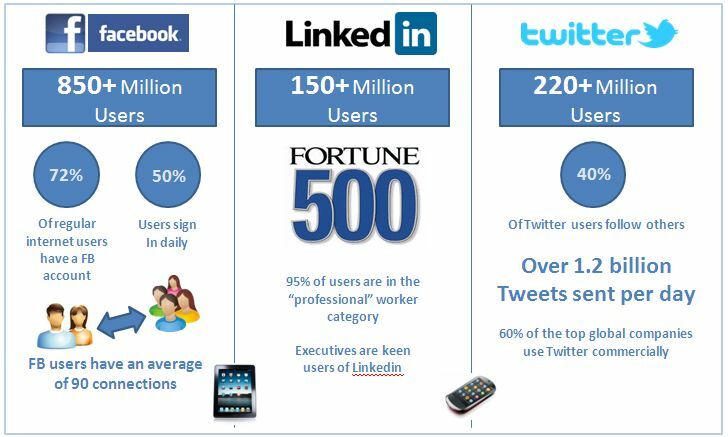 Social Media is an emerging market that will continue to grow. Corporate risk from inaccurate or inappropriate communications with consumers via social media tools. Social networking does not have a means to control the capture, logging, tracking or proving what was said or done. In the absence of controlled social media archiving tools, social media business records can be lost, leading to e-discovery, legal hold, evidence spoliation and other issues. 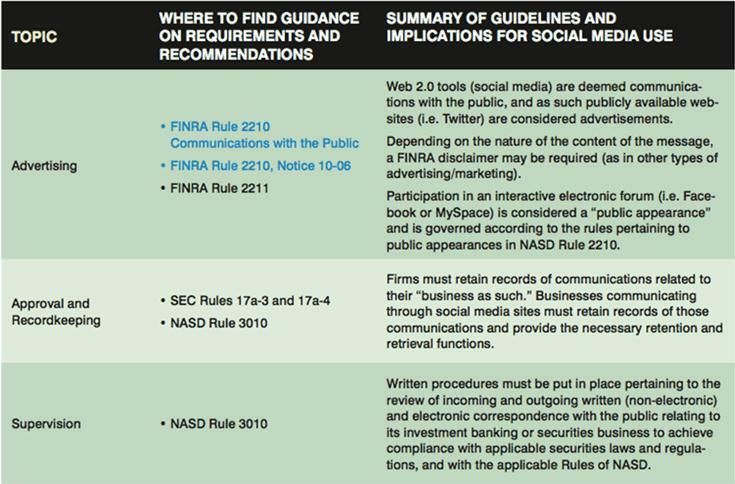 By taking up the opportunity of gaining customers through social media channels, compliance to SEC, FSA and FINRA regulations need to be met. Social networking activity (status updates, Tweets etc.) fall under the guidelines of an advertisement and/or sales literature. Sending an email using the social networks (Facebook Messages, LinkedIn InMail) or an instant message (Facebook Chat) is considered correspondence. 'Favoriting' a post on Twitter or 'Liking' a comment on Facebook and @Recommending� on linkedIn can also be seen as an endorsement by the firm. Republishing a comment from a third party, such as 'retweeting', is likely to be considered an endorsement by the firm. Social network content is electronic communication and should be captured, indexed and preserved. Archived social networking content should be readily accessible. Content should be easily searchable by specific fields and efficiently exportable. If you would like more information regarding SMC4 just send us an email to sales@smcapture.com and an Integritie representative will contact you. Social networks can be updated at any time from any location. Firms must educate and provide the tools to capture and retain content that falls under the advertisement, sales literature or correspondence guidelines. Maintaining a full audit trail of all archival supervision actions of social networking activity is necessary. 42% of Financial Services businesses do not have any archiving process in place for Social Media interactions. 17% are managing this activity through manual approaches. SMC4 Social View enables financial services companies to leverage the marketing opportunities that social media provides, whilst addressing the unique compliance requirements that this entails. SMC4 provides real time monitoring to log all social networking interaction, including all incoming and outgoing messages, and archives all communication for further compliance review. The solution features embedded content dictionaries tailored specifically for the financial industry to monitor two-way communications between financial advisors, customers and potential prospects. Workflow passes intended outbound information for textual analysis to interpret if a user is saying something inappropriate. If so, it is routed to quality control for corrective action. Integritie also provide analytic tools for analysing customers and prospect demographics, as well as the overall effectiveness and return on investment of social networking based marketing. For more information on the application which applies to you, follow the links below.